I've had this body a while. 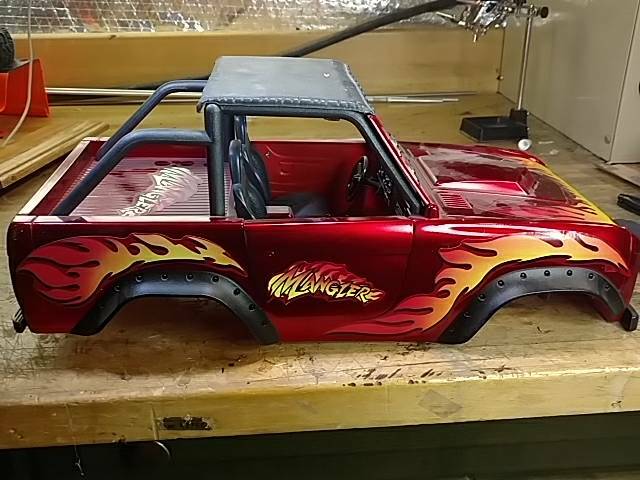 I didn't want to start cutting on it until I had a few builds under my belt. I think I'm ready. 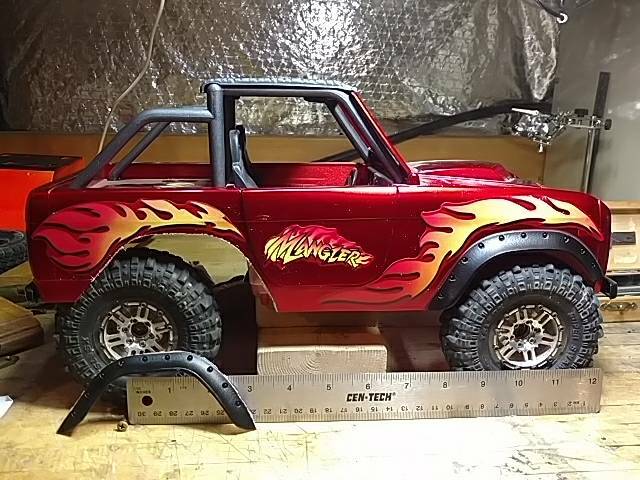 I'm still not sure what chassis I will use but I'm leaning toward the MST CFX. 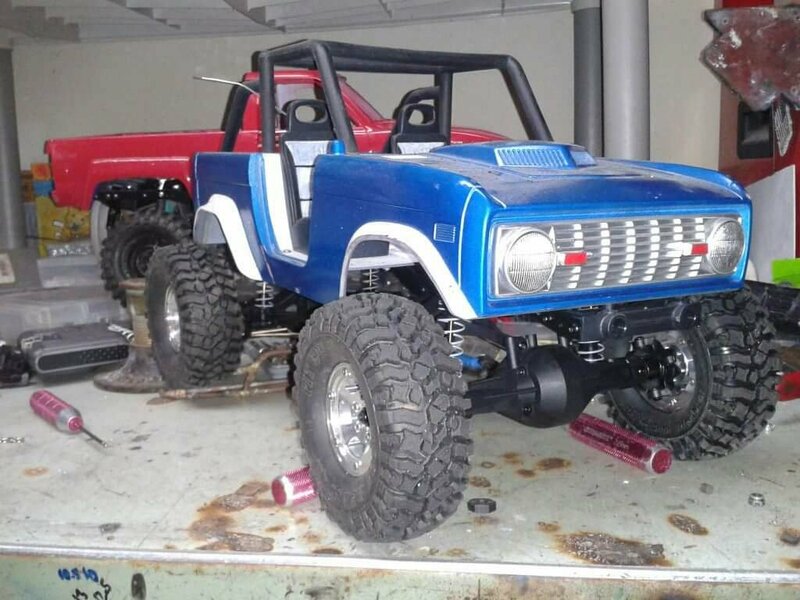 This body is nearly identical in size to the Tamiya Bronco. I only need to move the rear wheel wells back. I figured if I was going to do that I might as well drop the bed too. Here is what I'm starting with. Always liked that body since I first seen one. Will be watching. It's 9 inch WB like this. I should be able to get 10 without stretching the body. 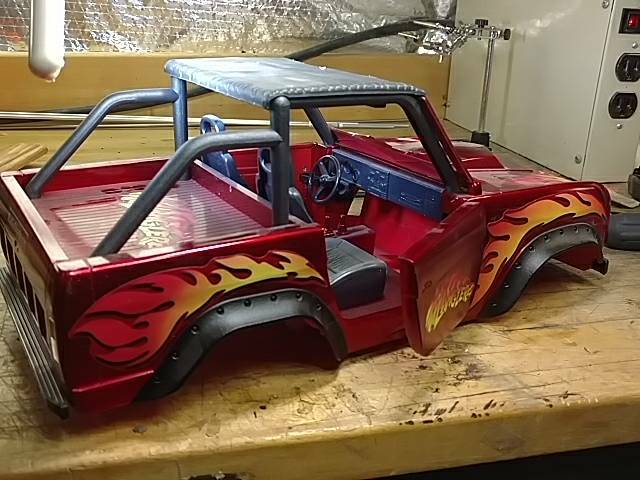 It's hard to decide on a chassis for this. I think this will work and allow me to keep the interior in tact, I hope. 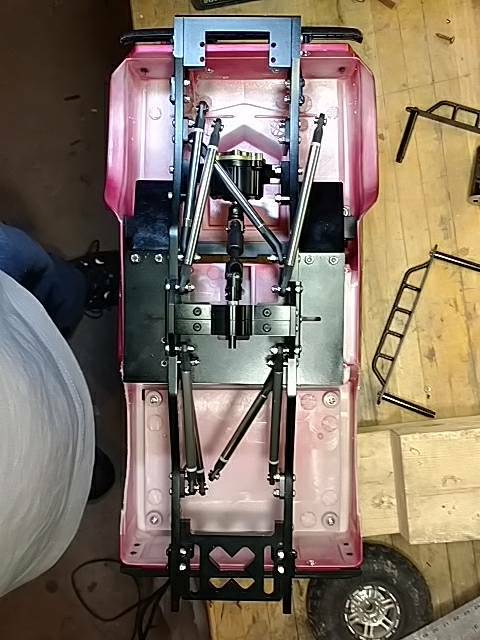 It looks like the shock towers are adjustable and the length is nearly perfect. I still have a set of D35's I havent found a home for that I might try on this. The width will probably be perfect. I finally got a chance to cut with sewing thread. It works great. Looking good. 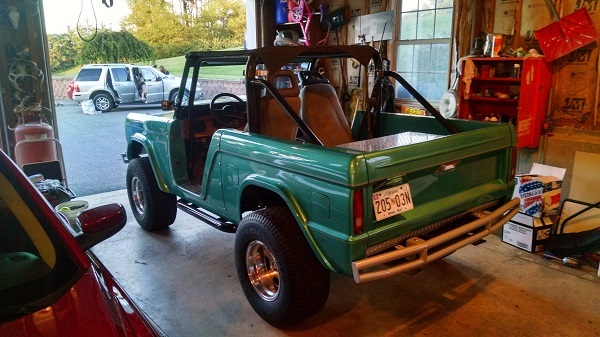 Always like seeing Bronco builds. nice. 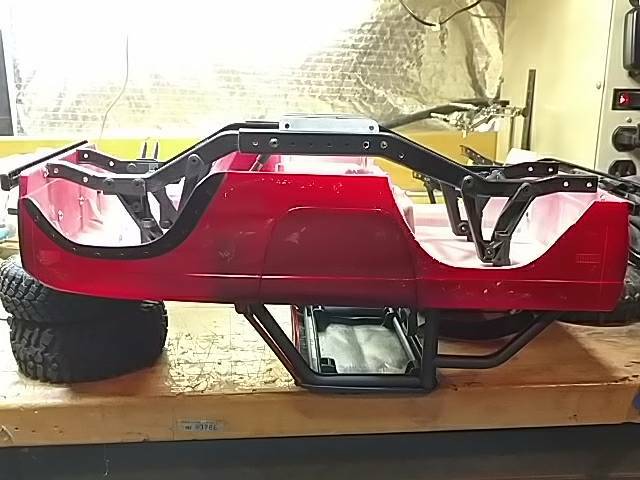 what chassis is that you posted above? 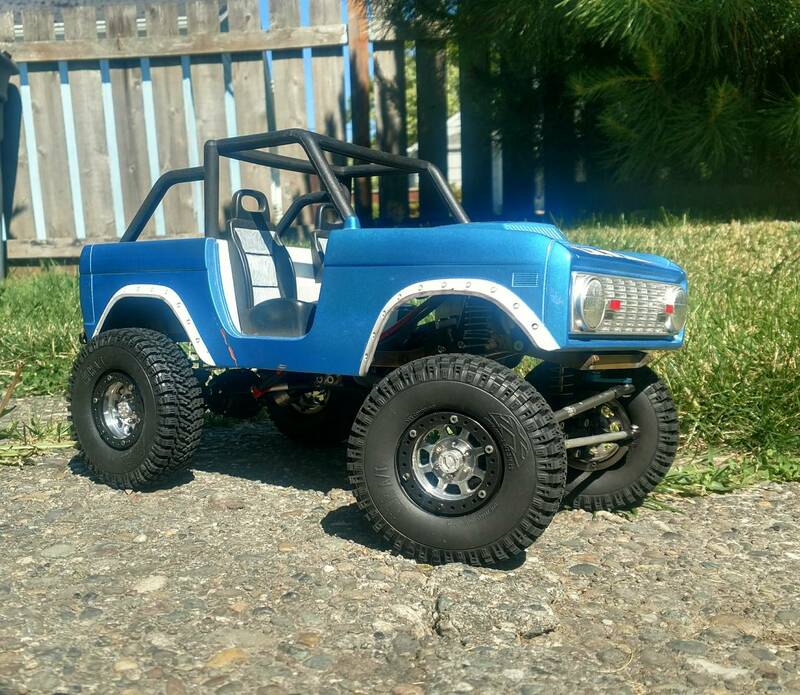 KYX I found at RC recycler. It seems to be a TF2 knock off. It's in the mail so I will be able to give more info when it arrives. I had never heard of it but the dimensions seemed right. 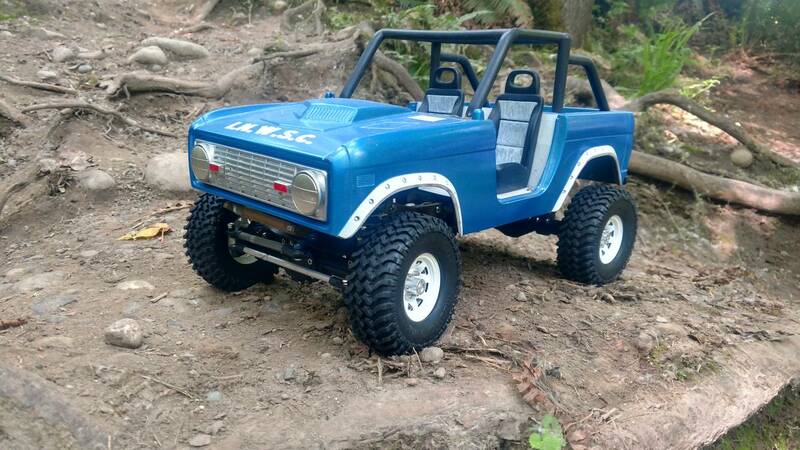 If it doesn't work for this body I have the Tamiya Bronco body looking for a home as well. Here is my Fathers 1:1. No I am not making a Mini Me. beautiful!!! 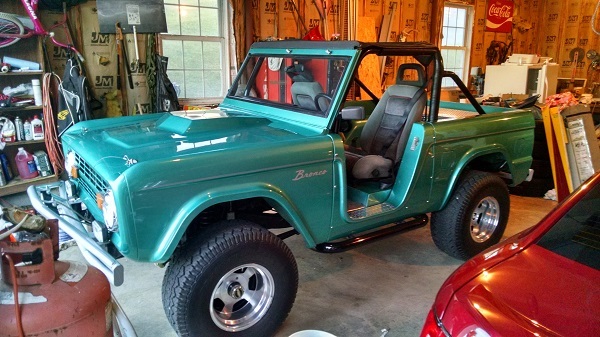 always loved that color. 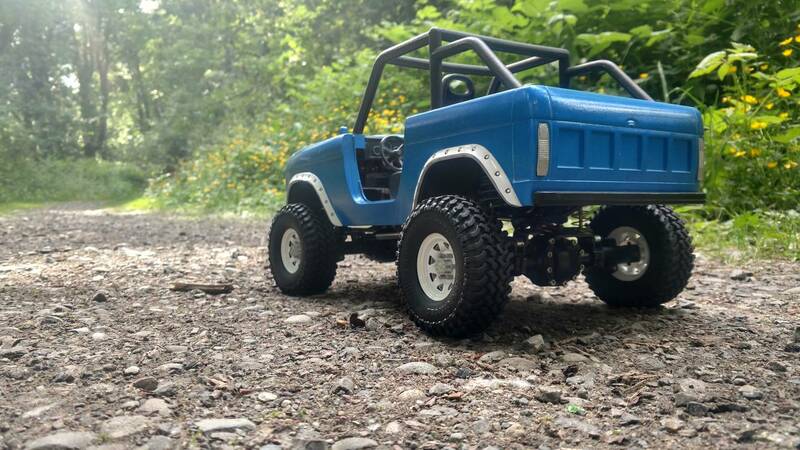 looks great on your pop's EB. 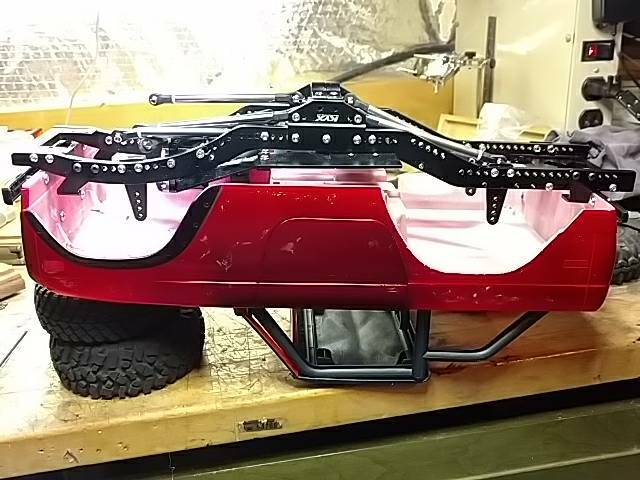 looking forward to see more about that chassis. Not sure this will be the answer. It's a quality piece though. 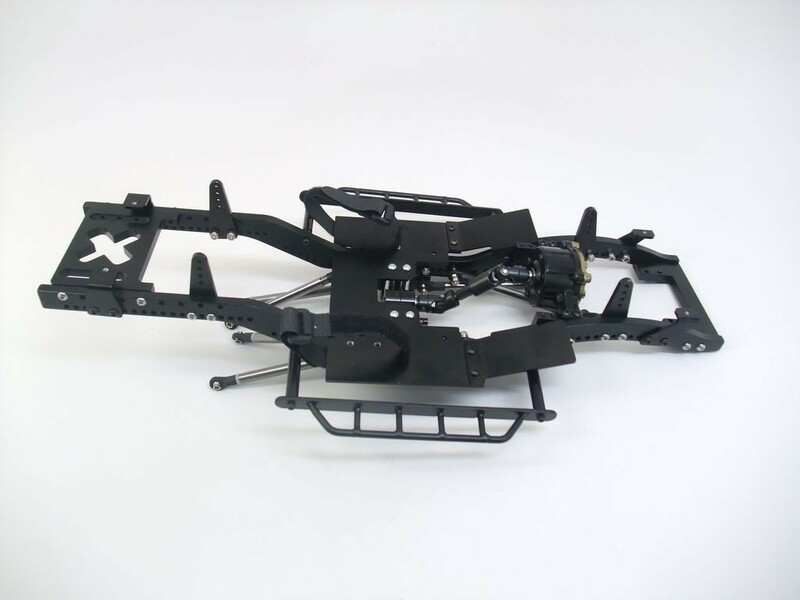 Here is a shortened beyond WB 1 Ascender chassis. It could possibly work with shorter shock towers. 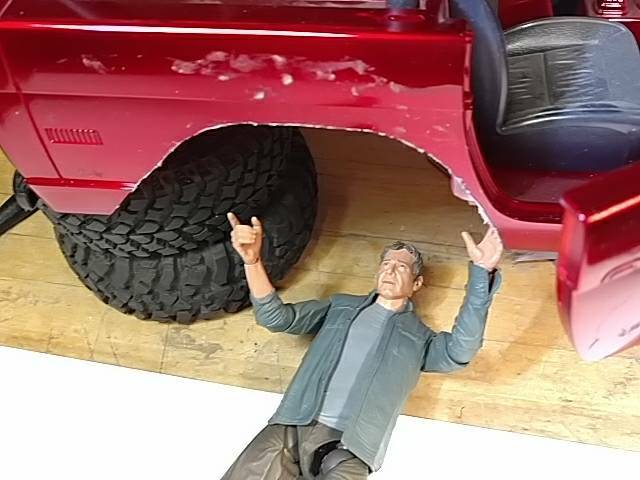 Harrison Ford stopped by to tell me how far back he wanted the wheel wells. 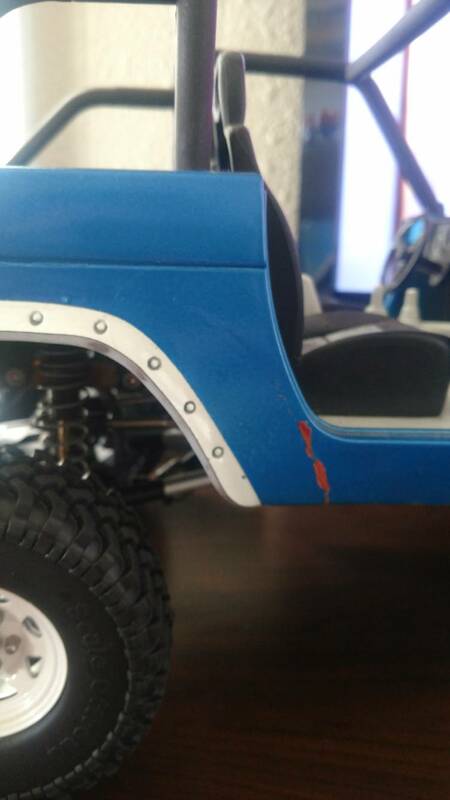 I used .060 styrene. 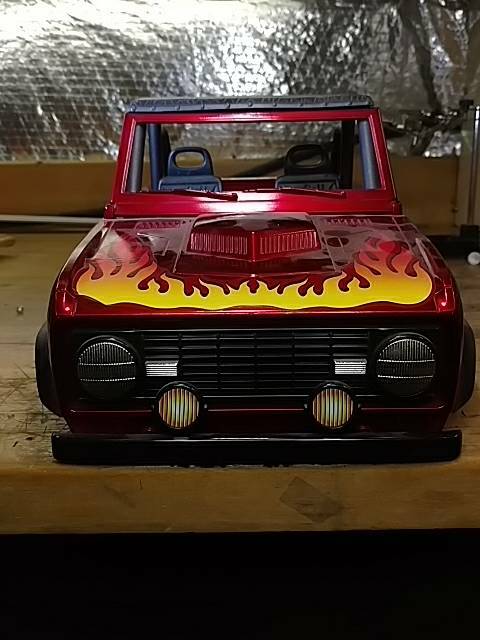 I used plastic weld then filled the small gaps with JB Weld. 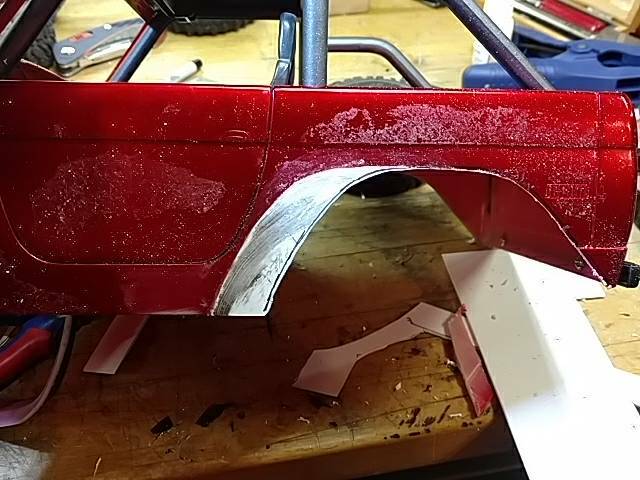 I'll cut new wheel well after it dries. Looking good. 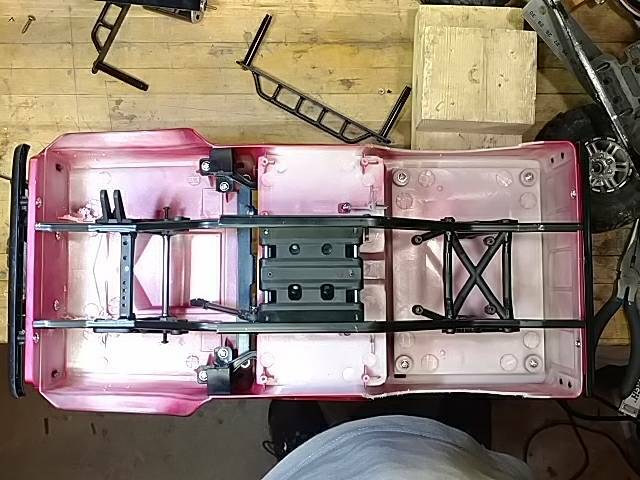 The ascender chassis looks like a good fit. 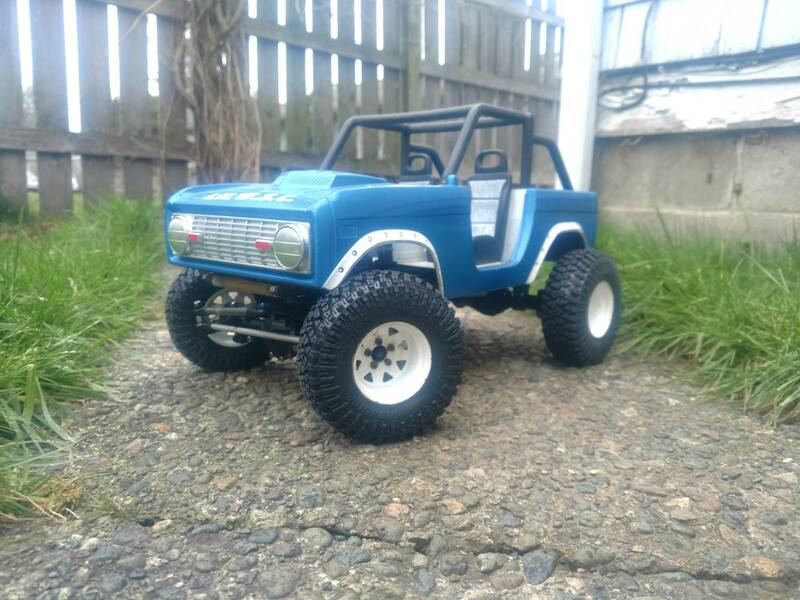 I found a TF2 SWB on Craigslist for a song. It's on the way. 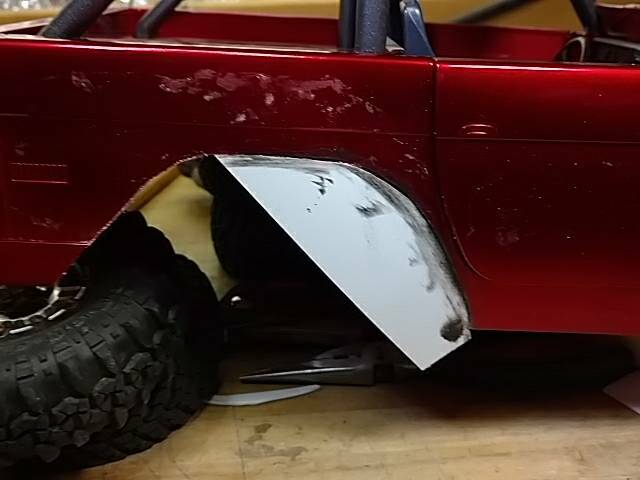 I'm thinking I would try to make the radius arms for the front. And keep the leafed rear. Maybe. I try to learn a new skill with each build. I have not mastered braising yet but I will have to do a cage if I drop the bed. 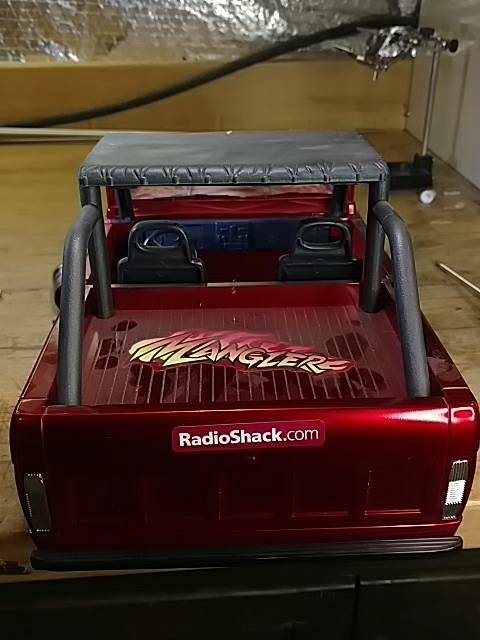 Glad to see someone else using a mangler body!! I've been plugging away at mine the last few years as more tiny tire and swb options keep popping up. Here's one of the stages it was at, tore everything apart to change the chassis again. Wheel wells moved. 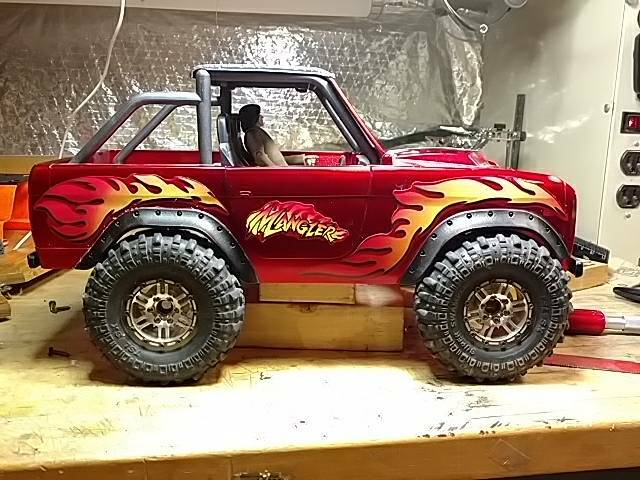 Working on fitting the flares. i'd like to see the underside of your body where the patch was installed. Also are those D35 axles on it in 1 of the pictures?